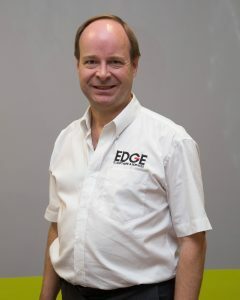 Chris has vast expertise within the IT industry and is the founder of parent company Edge IT Holdings UK Ltd. He is a Computer Science graduate who started the company in 1989. 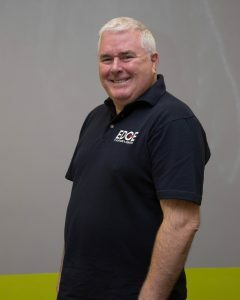 He previously worked in the telecommunications industry for GEC-Plessey and has since successfully helped hundreds of businesses and local government organisations to develop and deploy successful IT solutions and strategies. Chris is a family man with 3 girls and in his spare time enjoys walking. Craig is the IT Helpdesk Manager and support engineer. He works with clients to ensure the smooth running of their systems. He is Coventry born and bred, so he knows his way around the city as well as around IT systems. 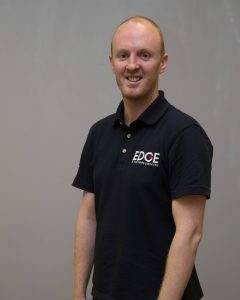 Gary is senior support engineer, with wide experience of providing IT support to small businesses. He has been with the company since 2003. He is Microsoft qualified and explains what is required, as well as doing what is required, having been an IT trainer for several years. Cari is one of our Product Consultants. 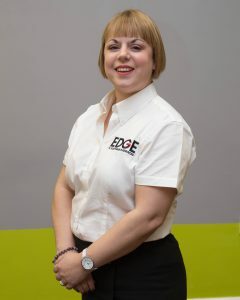 She has a degree in systems analysis and has been associated with Edge IT since 2000. When Cari isn’t working her way through any support queries she can be found spending time with her two children or her grandson now. Linda is a computer science and mathematics graduate who has been working in software development since 1983. She has previously worked for GEC on real time control systems, and for IBM on office based reporting programs. 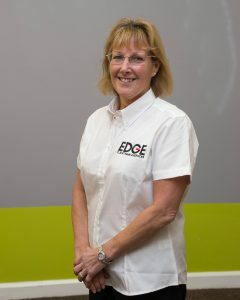 Since joining Edge in 1991 she has taken over the lead role in redeveloping all the Local Government software, and is the main developer for the majority of software projects. Andrea joined the team in July 2015 as the Business Development Manager. She comes from a background in finance and customer service, where she worked for a large Building Society for 11 years. 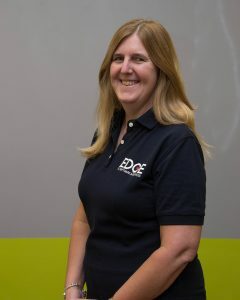 Andrea looks after all the administration, customer service and support for EDGE. When she is not working, Andrea looks after her two young boys and enjoys going on days out with them. Ian joined the team in April 2016 as a Product Consultant. Ian was previously the Bereavement Services Manager for Exeter City Council where he was first introduced the our Epitaph software and has many years of experience using it. 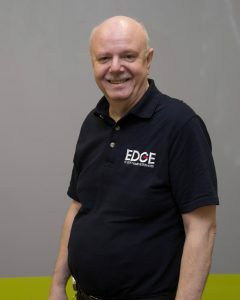 Ian is now on the board of directors for the ICCM and works for EDGE on a part time basis, supporting our clients to use the software. 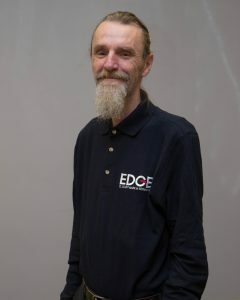 Roland has been working for EDGE for many years on a part time basis. He is our Product Consultant for the AdvantEDGE Finance software. Roland is a local council RFO and has also been a clerk, so has first hand experience of what is required from the software and how to support its users.